Officers were called to a burglary at the Barnardos store on Sedgefield Court, Elsea Park, Bourne, at midnight on Friday, September 7, following a report of a break-in. Helicopters and a dog unit were deployed following police arrival, to assist officers in locating any offenders. Scott Nash (38), of Drummond Close, Hampton Gardens, Peterborough, has now been charged with aggravated burglary and assault with intent to resist arrest. Derek Nash (45), of no fixed address, has been charged with aggravated burglary, burglary of dwelling and theft, and assault with intent to resist arrest. Jason O’Keefe (39), of no fixed address, was charged with aggravated burglary, assault with intent to resist arrest and burglary of a dwelling with intent to steal. 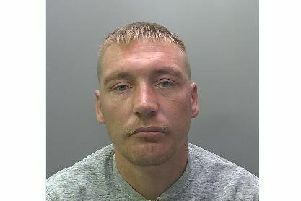 All three appeared at Lincoln Magistrates and were remanded in custody.